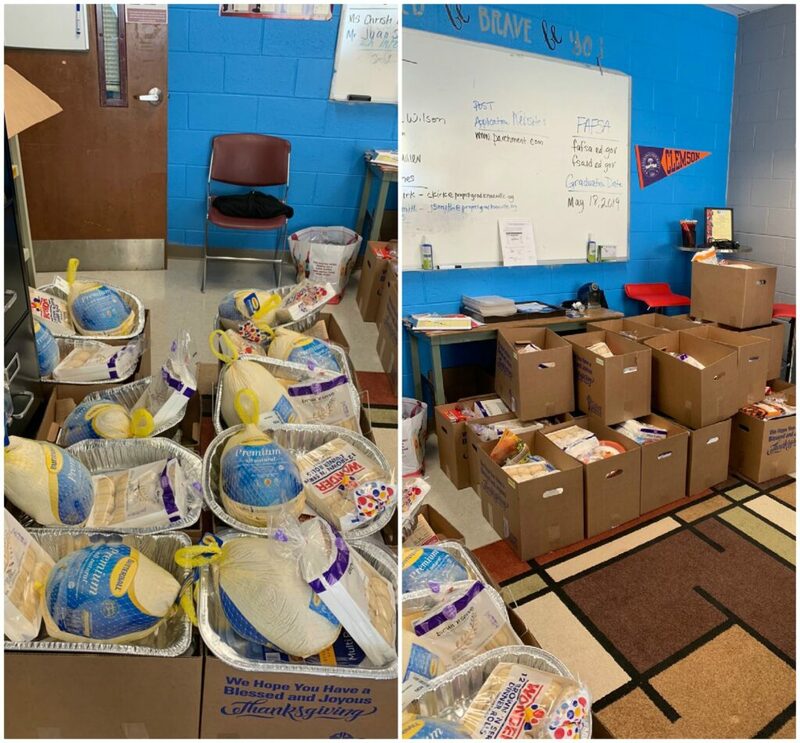 A total of 141 Thanksgiving baskets were distributed this year through GRAD’s work at Fulton. It’s always a joy to call parents to let them know they will receive a free Thanksgiving basket with enough food for a feast. The joy in their voice after hearing the news really makes me appreciate the idea of service. I will admit that my role in the entire Thanksgiving basket endeavor is very small, but I am thankful to be a part of the process. Monica Smith-Albright, our Student and Family Support Coach at Fulton, does a phenomenal job with community relations and getting all hands-on deck. Volunteers from the community, Fulton, and Central United Methodist gathered on the Saturday prior to Thanksgiving to prepare the baskets for Fulton families. As always, Central United Methodist was so thoughtful in their preparation of the basket contents. The Thanksgiving baskets were distributed on Monday of Thanksgiving week. Volunteers assisted with checking families in, selecting their items, and loading the basket in each vehicle. 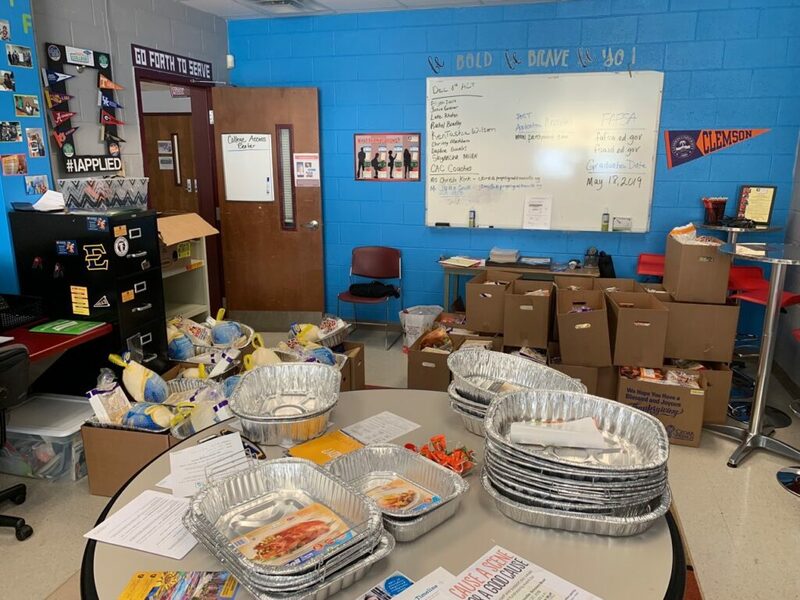 Fulton partnered with WestRock Packaging, Mount Baptist, Cedar Springs Presbyterian, Central United Methodist and Farragut Hight School to make this opportunity possible for so many of our families. We are thankful to have willing partners to help pull off such a big operation. It’s a privilege to be able to serve in any capacity, and I truly believe that our efforts are appreciated! Just being able to assist families in their time of need is very fulfilling and is always a great way to start off the Thanksgiving holiday for our team!